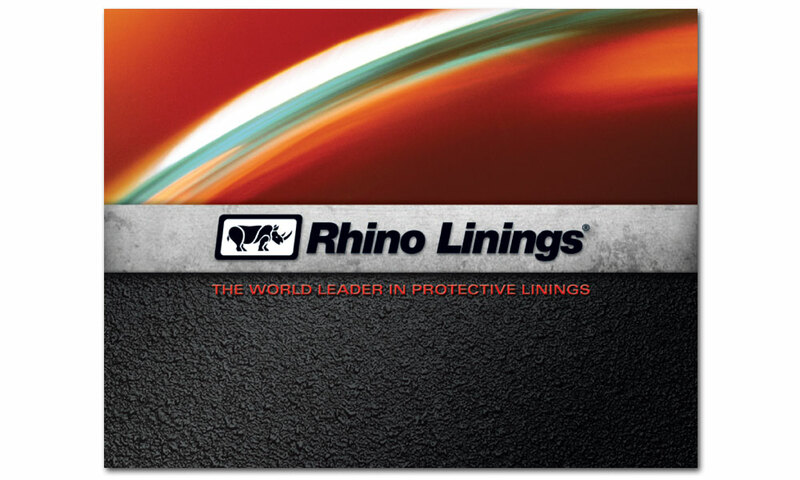 Rhino Linings is the #1 sprayed-on bed liner in the world for industrial, commercial and retail applications.. Their network consists of more than 2,000 applicators and contractors in more than 80 countries. 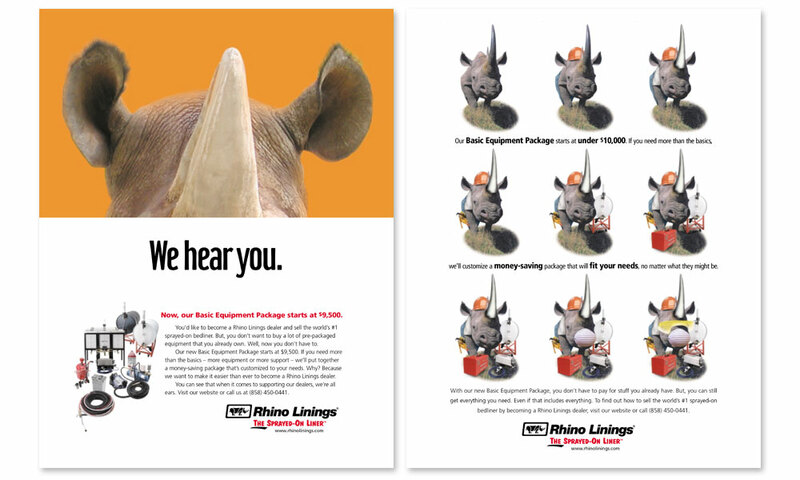 When Rhino approached BrainShine, it was for help developing their dealer base. 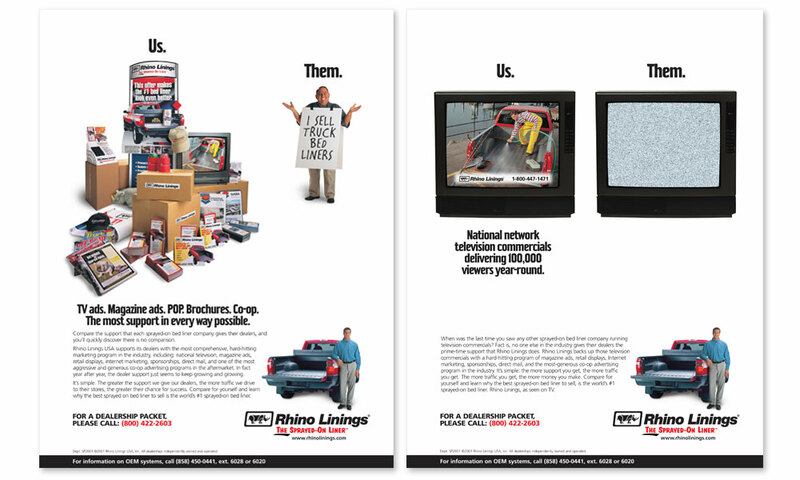 Through a series of smart ads and direct mail pieces, we reached out to current and potential dealers to grow the network. 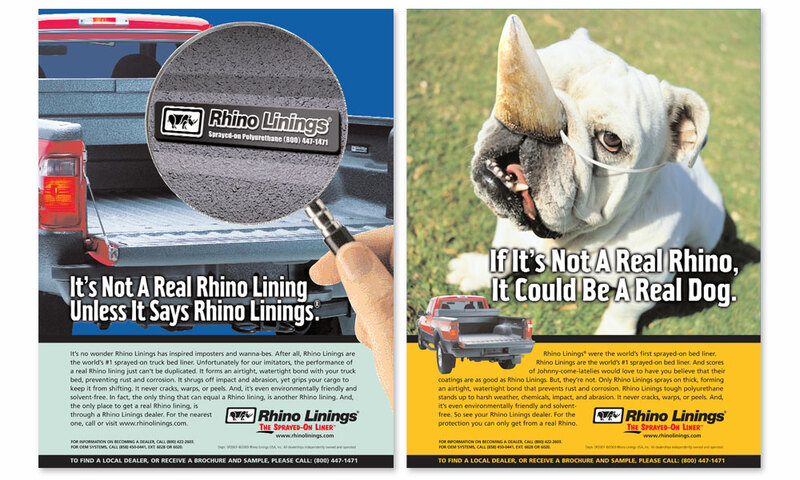 The print ads ran in reputable industry and trade magazines and were supplemented with direct mail sent to a specific list of potential partners. We coined the tagline “Fearless” for their marketing use and built point-of-purchase displays for use in showrooms and retail outlets. 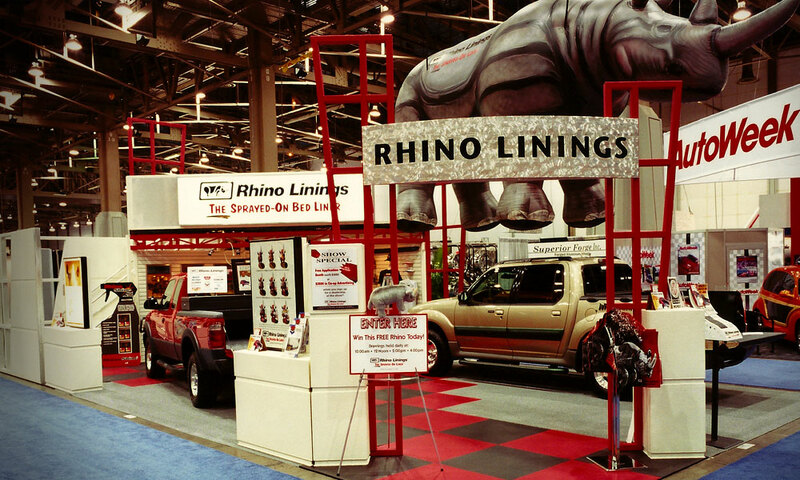 We designed and manufactured their tradeshow booth for SEMA. 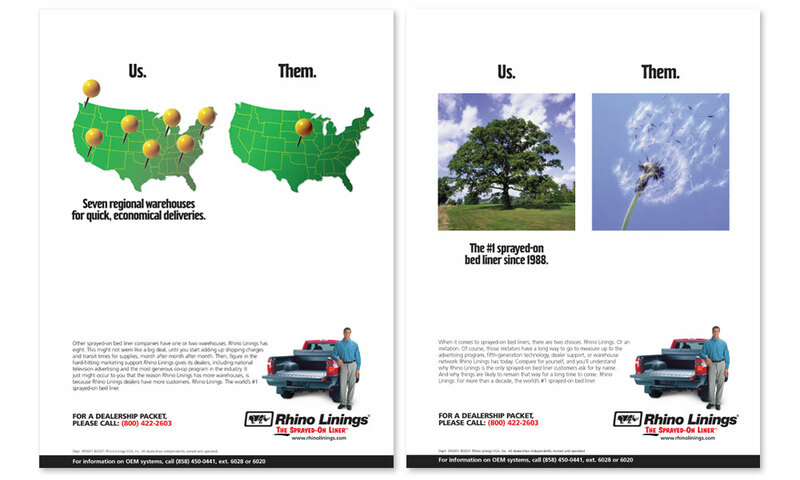 BrainShine supported the OEM side of their business too by creating one-sheets and ads to attract military and industrial use. 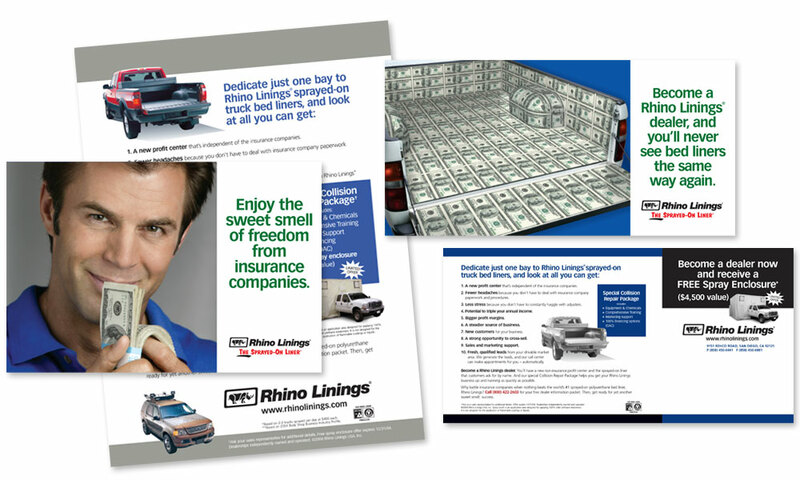 We also designed a multi-page “opportunity” brochure for use recruiting dealers. 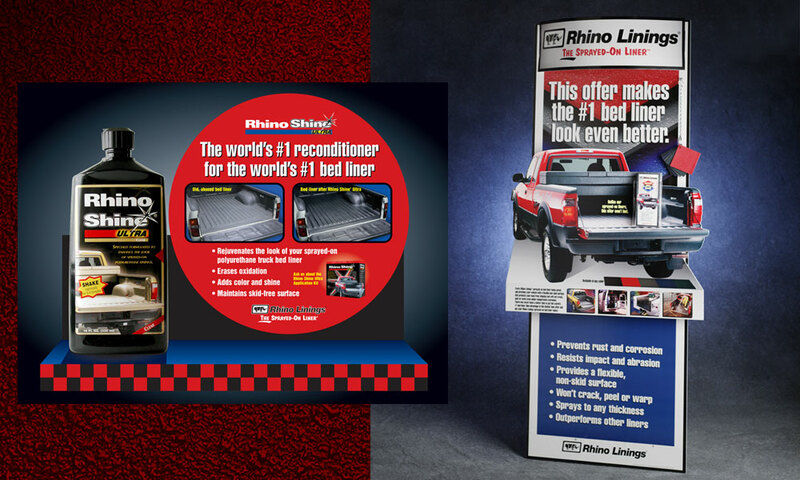 As an industry leader, Rhino produced consumer advertising to support their dealers and we created several campaigns to run in auto enthusiast publications. 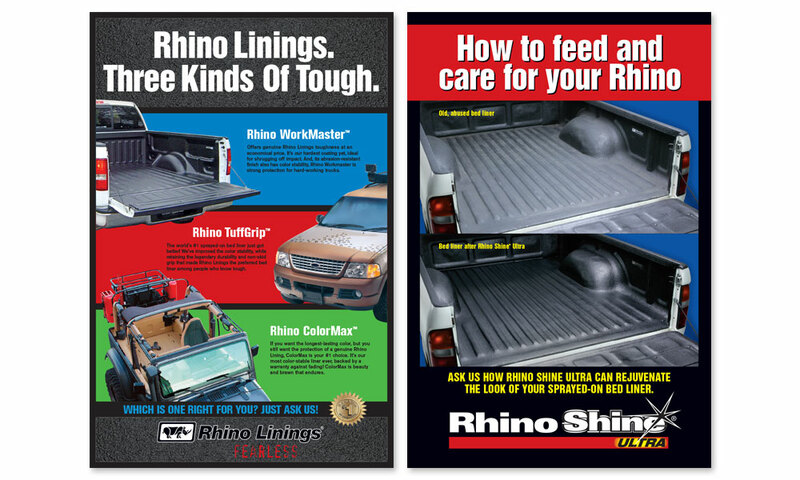 Finally, Rhino entered into a sponsorship of a company renamed Rhino Off Road Industries, builders of a Rough Terrain Vehicle (RTV). 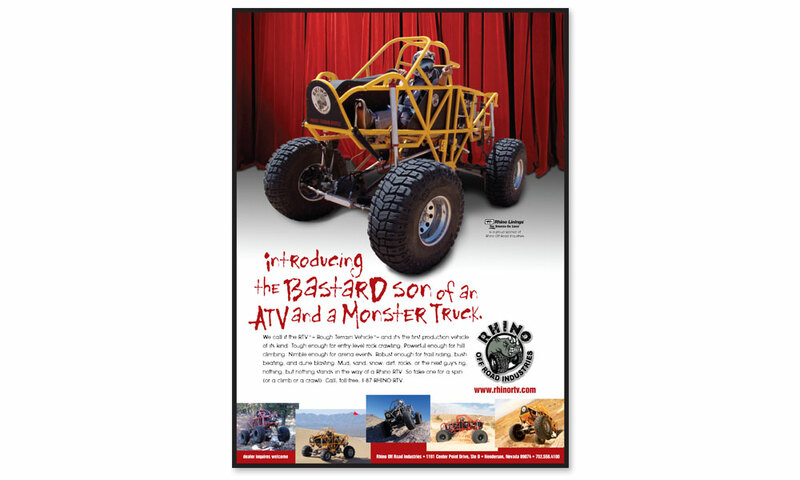 We assisted in promotional materials used at on-site events like the Baja 1000.